Your car can still have its brand new look even after sustaining damage in a mishap. Get premium vehicle collision repair today by relying on Dave’s Collision and Restoration in Unionville, MI. Under the leadership of Dave Dillon, we are committed to providing quality car restoration services that guarantee client satisfaction. Trust our expert auto technicians when it comes to auto repair services that would make your car as good as new. 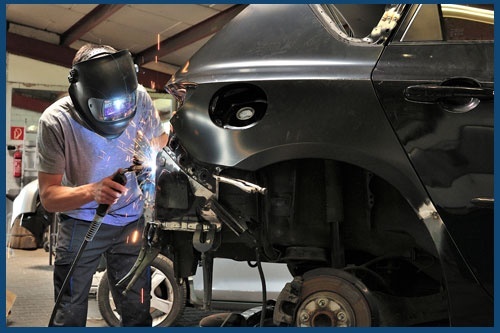 For exceptional collision repair and car restoration services you won’t find elsewhere, look no further than Dave’s Collision and Restoration. Should you have any inquiries regarding the line of services we provide, do not hesitate to get in touch with us. We are an auto repair shop offering our vehicle repair solutions to cars, trucks, boats, farm trucks, and equipment and motorcycles. We also provide loaner cars for your convenience while your auto is being repaired.